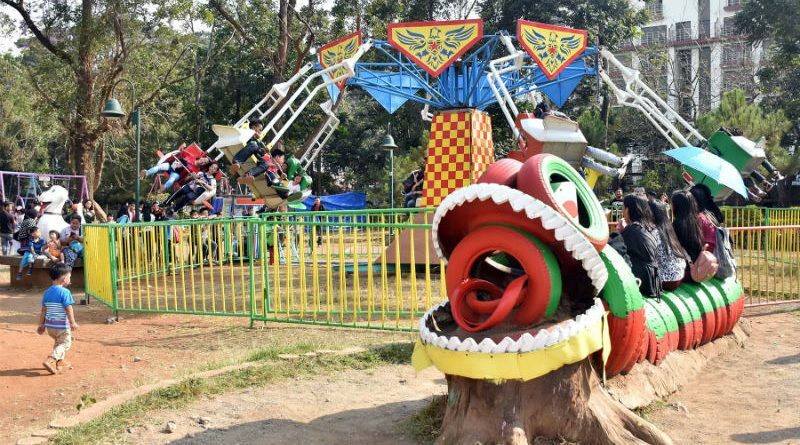 BAGUIO CITY – Mayor Mauricio G. Domogan ordered the operator of the carnival in children’s playground to temporarily cease and desist from doing business until such time that the issues and concerns raised against the safety of the existing amusement rides shall have been appropriately addressed. In his letter to Belazar Ola, operator of the Burnham amusement rides, the local chief executive cited the report of the technical personnel of the City Buildings and Architecture Office (CBAO) which raised concerns on the safety of Bee’s Parade, Air Force Ride, Spinner Ride, Turbo Racing Team, Mix Up Ride, Biking Ride, Octopus Ride and Frisbee Ride. Among the findings of the CBAO technical personnel include nails were used as pin locks instead of knots, rotten wood plunks were used and unlevelled, electrical equipment are used for lighting only, mechanical rotating parts are inadequately lubricated, rides have no railings or seatbelts, presence of oil spills in some rides, burned power outlet at ticketing booth, muffler exhaust has no extension pipe, base foundation support was not levelled properly, edges of railings at the entrance has sharp edges, rollers were not adjusted to fit the wheels, cracks on rides chair, rides support were small in sizes and no enclosure on mechanical rotating parts. The inspection team highly recommended that the operator should comply with all of the provided recommendations, submit a certification from a competent technical person certifying that all units of equipment and rides are safe and fit for operation and submit liability insurance in effect with an insurer providing coverage of bodily injury to or death of one person in its occurrence. 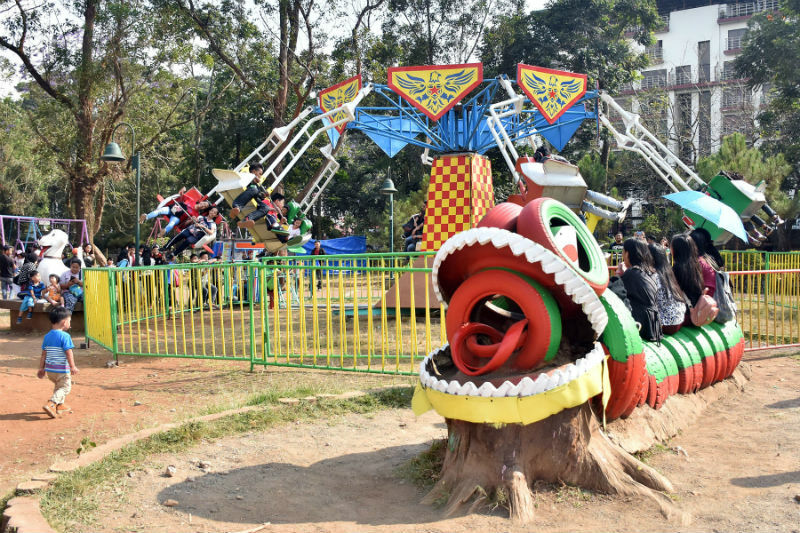 Earlier, Domogan ordered the concerned departments of the local government to immediately conduct an inspection to ascertain the safety of the amusement rides located in the carnival site within the children’s playground after receiving complaints from the residents on the alleged unsafe condition of the existing rides. He underscored the safety of those patronizing the available amusement rides is the primordial concern of the local government that is why he directed the conduct of the needed investigation to ascertain the veracity of the reports that are being brought to his attention. The carnival operation was previously approved by the local legislative body after the operator committed to pay to the city coffers some P500,000 representing the lease rentals for its operation for 90 days. Domogan issued a verbal directive to the operator to temporarily stop the carnival operation Tuesday afternoon but the operator stood firm on his decision not to stop his operation until such time that there will be a written order handed down by the local executive. Concerned citizens posted in the social media videos of a child who was allegedly stocked in one of the amusement rides after the mechanical system of the ride allegedly malfunctioned that caused trauma to the involved individual. Domogan expressed confidence that the operator will now adhere to the written order that he issued to prevent the occurrence of incidents in the future that will compromise the safety of the children patronizing the available rides in the carnival area.